Envisioning a more client-centric and cost-effective approach to providing intellectual property and related business legal services, Mr. Tarabichi founded Owens Tarabichi LLP with Mr. Owens in February of 2008. Mr. Tarabichi’s practice focuses on intellectual property counseling, prosecution, and litigation. A non-exhaustive listing of Mr. Tarabichi’s areas of expertise is set forth below. Intelligence gathering through private investigators, customs agencies, local counsel, etc. Developing employee handbooks, company policies, marking schemes, etc. Morgan, Lewis & Bockius LLP, 2004–2008. In January of 2004, Mr. Tarabichi joined Morgan, Lewis & Bockius LLP, a general practice firm with over 1,300 attorneys in 22 offices worldwide. As an attorney in Morgan Lewis’ intellectual property practice group in the Palo Alto, California office, Mr. Tarabichi managed the domestic and international trademark and domain name portfolios for various Fortune 500 companies; litigated a variety of intellectual property disputes before United States federal district courts, California state courts, and the U.S. Patent and Trademark Office’s Trademark Trial and Appeal Board; conducted intellectual property due diligence reviews for multi-million dollar corporate acquisitions; structured and negotiated intellectual property assignments and licensing deals; and generally advised clients on copyright, Internet, trademark, trade secret, and unfair competition matters. While at Morgan Lewis, Mr. Tarabichi represented the following significant clients (among others): Agilent Technologies, Inc., Avago Technologies, Inc., Cisco Systems, Inc., Con-way Inc. (formerly CNF Inc.), Dentsply International Inc., Finisar Corporation, National Association of Securities Dealers, Inc., Nationwide Mutual Insurance Company, and Philips Lumileds Lighting Company, LLC. Pennie & Edmonds LLP, 2001–2003. In October of 2001, Mr. Tarabichi joined Pennie & Edmonds LLP, a 200 attorney intellectual property boutique law firm with a history dating back to 1883. 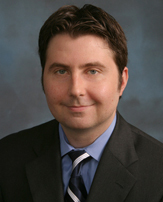 As an attorney in Pennie & Edmonds’ trademark and copyright practice group in the Palo Alto, California office, Mr. Tarabichi managed the domestic and international trademark portfolios for various Fortune 500 companies and litigated a variety of intellectual property disputes before United States federal district courts, California state courts, and the U.S. Patent and Trademark Office’s Trademark Trial and Appeal Board. While at Pennie & Edmonds, Mr. Tarabichi represented the following significant clients (among others): Con-way Inc. (formerly CNF Inc.), Finisar Corporation, InterTrust Technologies Corporation, and Philips Lumileds Lighting Company, LLC.